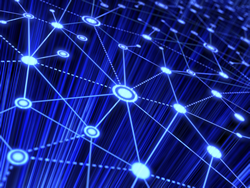 In order to provide UEN customers with the most robust and resilient Internet experience possible, UEN Network Staff has configured a series of diverse paths, connecting into multiple geographic locations, provided by many different Internet Service Providers. Traffic flows across UEN’s network efficiently by establishing multiple internal paths, complemented by multiple external paths to the Internet. This is accomplished by the use of 9 separate paths to the Internet which connect to the UEN network at 4 different geographic locations. By partnering with many different ISPs, UEN is able to provide a resilient connection to the Internet that can withstand external failures. Working with Internet Service Providers, UEN has robust connections to the Internet; the network currently provides 30 Gbps of sustained traffic and is capable of bursts up to 120 Gbps. Considering the internal infrastructure implemented by UEN to provide diverse internal paths, coupled with the diverse amount of external Internet Providers, in the event of any network failures, whether it be internal or external, UEN customers can be confident that their connection to the Internet will speed along unaffected by possible bumps along the way. With the Internet growing larger every day, handling increasingly more traffic, clever strategies have to be implemented to handle that traffic more efficiently. 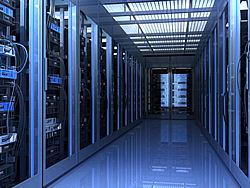 UEN's utilization of caching clusters is one way that we handle Internet traffic effectively. A caching cluster affords UEN the advantage of keeping select services fast, and keeping that traffic local, not traveling out to the Internet. A caching cluster's intelligence lies in storing the most widely used data to local servers with large storage capacities. That data is then retrieved locally from those servers instead of from the Internet, keeping traffic off outgoing ISP connections and on local infrastructure. In the case of UEN's caching clusters, this could be Youtube videos, the latest updates for your Operating System, or a movie on Netflix. Currently the caching clusters that UEN houses at our downtown data center are an Akamai cluster providing 20 Gbps of throughput, Google at 10 Gbps, and Netflix at 10 Gbps. Google and Netflix provide their own caching clusters, whereas Akamai is a company that provides caching services for many different companies. Each caching cluster consists of many servers, populated with dozens of hard drives; their engineered redundancy ensures each can take multiple hardware failures and if an entire cluster is ever inaccessible due to maintenance or any unforeseen issues, traffic is automatically routed to the Internet instead. Keeping up to 30 Gbps of traffic local to UEN’s network that would normally route out to the Internet is another way that UEN keeps our network running fast and as efficiently as possible.